Verizon has just announced that they will be charging $249 for the privilege of owning an R2-D2 Limited Edition,but thats with a $100 mail-in rebate on contract, which means that you’ll actually be paying $350 up front. 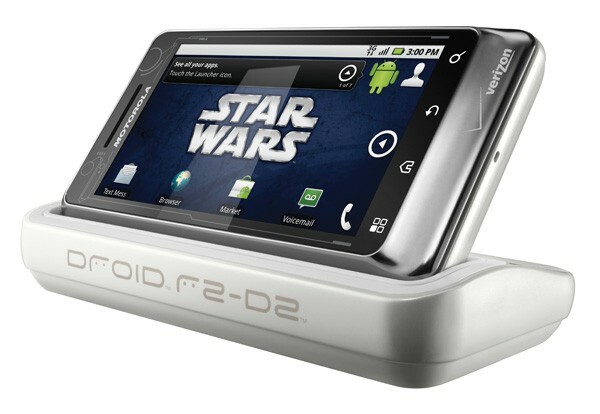 Then again, for that dinero you get not just the funky-looking phone but a Star Wars-themed dock and a box custom-designed to look like carbonite (Harrison Ford not included, we presume). You’ll also get a variety of custom live wallpapers, sounds, photos, widgets, and a “binoculars app,” which i guess is some sort of digital zoom tool.